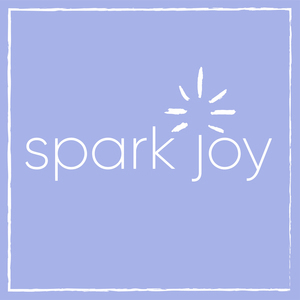 Welcome to Spark Joy, co-hosted by certified KonMari Consultants Kristyn Ivey and Karin Socci. Spark Joy is the podcast dedicated to celebrating the KonMari Method and the transformative power of surrounding yourself with joy; and letting go of the all the rest. Made popular by Marie Kondo, author of the bestselling book The Life-changing Magic of Tidying Up, the KonMari Method is a revolutionary professional organizing technique and way of life. Join us as we explore the world of KonMari and how the method impacts your home, health, wealth, family and well being. Each week Spark Joy engages thought leaders and innovators in the KonMari universe. We share our experiences as KonMari Consultants, working with clients from all walks of life: families, empty nesting folks downsizing, young people setting up their first homes, and others. Look forward to practical tidy tips that will help you execute your own KonMari journey with ease and joy. Spark Joy wants to hear from you! Tell us your burning tidying questions or share stories about how KonMari has impacted your life. Find us at www.sparkjoypodcast.com, email us at contact@sparkjoypodcast.com to leave a question or comment for a chance to be featured on next week’s show. Join us on Facebook, Instagram, and Twitter via @sparkjoypodcast.Thanks for tuning in, and we hope your day sparks joy! NOTE: Spark Joy the podcast is not endorsed by or affiliated with KonMari Media, Inc. The opinions expressed on the show's episodes represent the views of the co-hosts and guests alone, and do not represent the corporate position of KonMari Media, Inc or the KonMari consultant community. 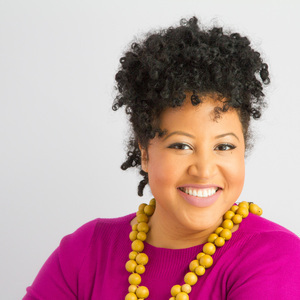 Our guest, Saya Hillman, helps us answer the question “why not?” instead of “I can’t?” in order to live a Life of Yes℠. Spark Joy co-hosts and KonMari Consultants, Karin and Kristyn, talk about 17 obvious and hidden costs associated with living with clutter that is slowly stealing your joy. Today we walk through how we process and joy check paper using the KonMari Method and also how to stop paper that doesn’t spark joy from crowding your mailbox. Come along with your hosts, Kristyn Ivey and Karin Socci as we explore some of the most common KonMari myths and missteps in today’s Spark Joy Podcast episode. Welcome to the 2018 Spark Joy highlights show! Thank you again for listening and we're looking forward to a 2019 that will Spark Joy! We hit some huge milestones this year: all in all, we have released 64 episodes, have interviewed 49 guests, we’ve covered all five of the signature KonMari clutter categories. And, we are getting closer to that 500,000 download mark all the time! Australia’s first certified KonMari Consultant and Evaluator shares stories tied to her experience of KonMari around the world. Marina Wakil hired Karin to help her execute an intense tidying event for her studio apartment in NYC to make room for her to pursue her passion for culinary studies and journalism. Komono, or miscellaneous items, is quite often the largest clutter category volume wise, so we help you break it down in a way that it manageable and most joyful to explore. Laurel Bern, award winning New York Interior Designer and blogger, shares important and joyful considerations when decorating your home. Kristi Meyer, KonMari Consultant, shares tips for the chronically disorganized on how to adapt the KonMari Method in a way that results in lasting change. Co-hosts of House of FI podcast join us to explore a simpler path to wealth, shifting our awareness and mindfulness from the pursuit of more stuff to the pursuit of financial freedom. Books form the second signature KonMari Method category. We discuss sorting, organizing, and discarding books and all the challenges and joy along the way. Single mom Beth Walker walks through her 60 hour KonMari tidying experience while discussing significant changes in her life and the benefits of working with a KonMari Consultant along the way. 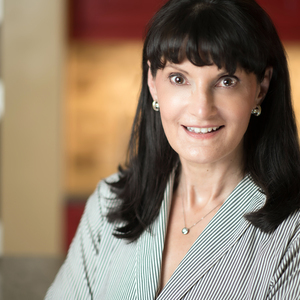 Our guest, Bonnie Shay, breaks down solutions for organizing, digitizing, and preserving your most sentimental items.